William Stripling was born on May 31, 1939, in Tyler, Texas. He entered the Aviation Cadet Program of the U.S. Air Force for Navigator Training on January 26, 1962, and was commissioned a 2d Lt and awarded his navigator wings at James Connally AFB, Texas, on November 26, 1962. After attending Navigator Bombardier Training, Lt Stripling served as a C-123 Provider and C-130 Hercules navigator with the 776th, 777th, and 779th Troop Carrier Squadrons at Pope AFB, North Carolina, from September 1963 to September 1966, and during this time he deployed in support of operations in the Dominican Republic from May 1965 to March 1966. His next assignment was as an MC-130E Combat Talon I navigator with Detachment 1 of the 314th Troop Carrier Wing at Nha Trang AB, South Vietnam, from September 1966 to July 1967, followed by service as an MC-130E navigator with the 779th Tactical Airlift Squadron at Pope AFB from July 1967 to April 1968. Capt Stripling next served as an MC-130E navigator with Detachment 2 of the 1st Special Operations Wing at Pope AFB from April 1968 to July 1971, and during this time he flew as FLIR navigator aboard the MC-130E "Cherry Two" during the Son Tay Raid, a clandestine mission to rescue American Prisoners of War in North Vietnam on November 21, 1970. 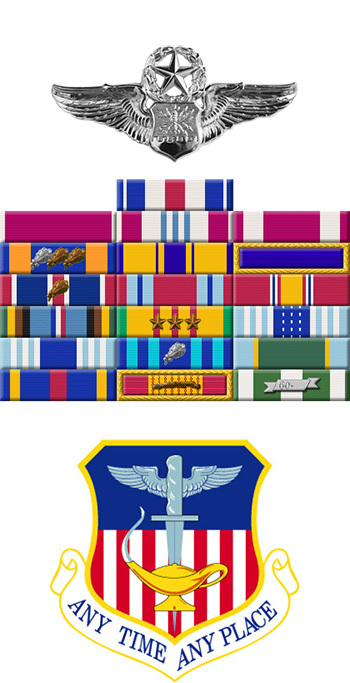 He served as a C-130 navigator with the 1198th Operational Evaluation and Training Squadron and the 63rd Air Base Group at Norton AFB, California, from July 1971 to June 1973, and then as a Special Operations Weapons Manager with Headquarters Tactical Air Command at Langley AFB, Virginia, from June 1973 to April 1976. 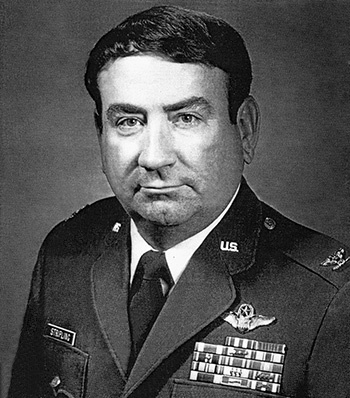 Col Stipling's next assignment was on the staff of the Middle East/Africa Division with Headquarters U.S. Air Force in the Pentagon from May 1976 to June 1979, followed by service as Military Assistant to the Deputy Assistant Secretary of Defense (NEASA) at the Pentagon from June 1979 to August 1982. He served as Deputy Chief of Staff for Plans with Headquarters 13th Air Force at Clark AB in the Philippines, from August 1982 to August 1985, and then served as a White House Fellow from August 1985 to November 1986. His next assignment was as Chief of Task Force Alpha with Headquarters Defense Mapping Agency from November 1986 to March 1987, followed by service at MacDill AFB, Florida, where he retired from the Air Force on June 1, 1988. Captain William D. Stripling distinguished himself by gallantry in connection with military operations against an opposing enemy armed force during the Prisoner of War search and rescue operation at Son Tay, North Vietnam, on 21 November 1970. On that date, Captain Stripling participated as Navigator in a combat flight which led a force into Son Tay. As a result of his heroic efforts and skillful mastery of navigational equipment, Captain Stripling overcame the equipment limitations under hostile fire. His superior performance enabled the force to meet the extremely critical time over target and arrive at Son Tay without incident. The enemy ground forces were completely surprised and the mission was successfully completed. By his exceptional gallantry and extreme devotion to duty, Captain Stripling has reflected great credit upon himself and the United States Air Force.